Photo Courtesy of CA L.A.O. The Center on Juvenile and Criminal Justice recently released a report on juvenile crime in California, and concluded there was an “enormous decline in arrests among the youngest Californians” over the past thirty years. This conclusion is consistent with the latest data from the California Attorney General’s Office. According to the report, not only has there been a decline in arrests, but graduation rates, college enrollment, and health trends have increased. As California has become more diverse over the past twenty to thirty years, this report and the Attorney General’s data indicate that increased diversity does not correlate with more crime. 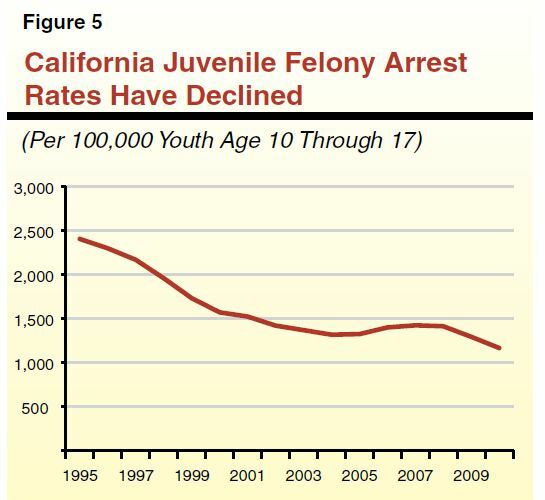 In Sacramento County alone, arrest rates for children under the age of ten decreased by 98% between 1980 and 2013. Overall, arrest rates for children under twelve, teens and young adults greatly declined. Arrest rates for persons over twenty-five slightly increased, however. As juvenile crime rates decrease in California, the state may be able to reallocate resources from juvenile detention facilities to alternative treatment or diversionary programs to help youth in trouble. 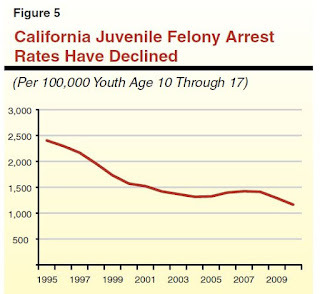 It remains to be seen if California will adjust its juvenile justice policies in light of the findings of this study. Katie Walsh is an attorney in Orange County, California who focuses her practice on juvenile law and criminal defense. Contact the Law Offices of Katie Walsh today at 714-619-9355.